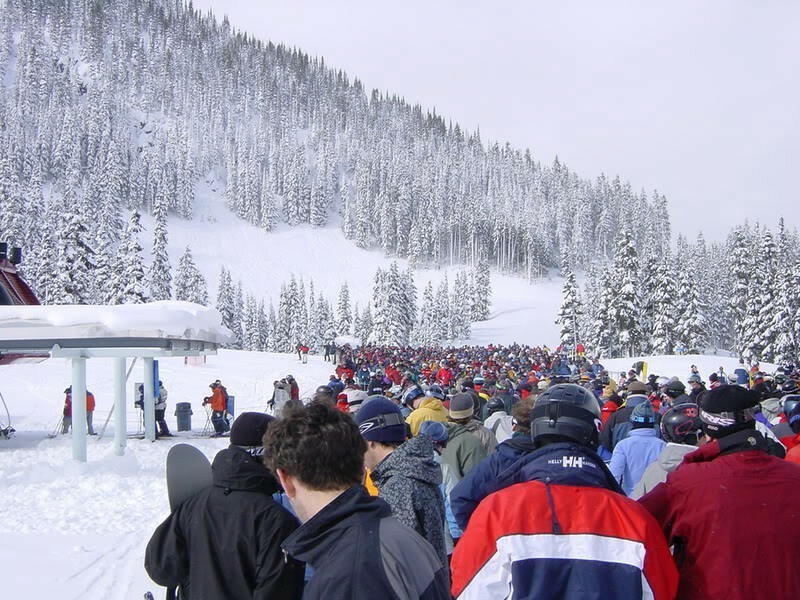 Whilst away on your ski holiday, do you ever find yourself at the back of a huge ski lift queue, with tired legs, sore feet and wish you were already sitting on the chair lift? It happens! Luckily for ski instructors, lifts in many resorts have special priority lines next to the normal queue, allowing us a much faster route to the top of the mountain! If the lift is particularly busy, this can easily cut the queueing time in half! It’s a massive bonus for our clients to skip the full queues, especially during school holidays when they regularly last 30 minutes or more, just to catch a ride to the top! Plan — Make a rough plan of where you would like to ski over the course of the day — most resorts have lifts that take you from one side of the resort to the other and are no doubt the busiest as this is the only route, avoid these during busy periods (mid-morning and after lunch). Early bird — Wake up early and take the first lift, the slopes are always quietest first thing and lift queues are nowhere to be seen. Timing— A late lunch is the other alternative. By stopping for a coffee or hot chocolate in the morning this gives you the chance to ski for longer into the afternoon. Skiing whilst everyone else is sitting down for lunch is a clever way to make use of the slopes, when the queues are less busy. Twilight slide — Skiing at the end of the day can sometimes be lonely, as people slowly migrate to après or the pub — it is however, the perfect time to rack up the miles on piste and the perfect opportunity to not queue for a lift, meaning more runs and quicker turnarounds! So if you don’t fancy booking a ski instructor then stick to the tips above, improve your day and spend more time skiing and less time queueing!